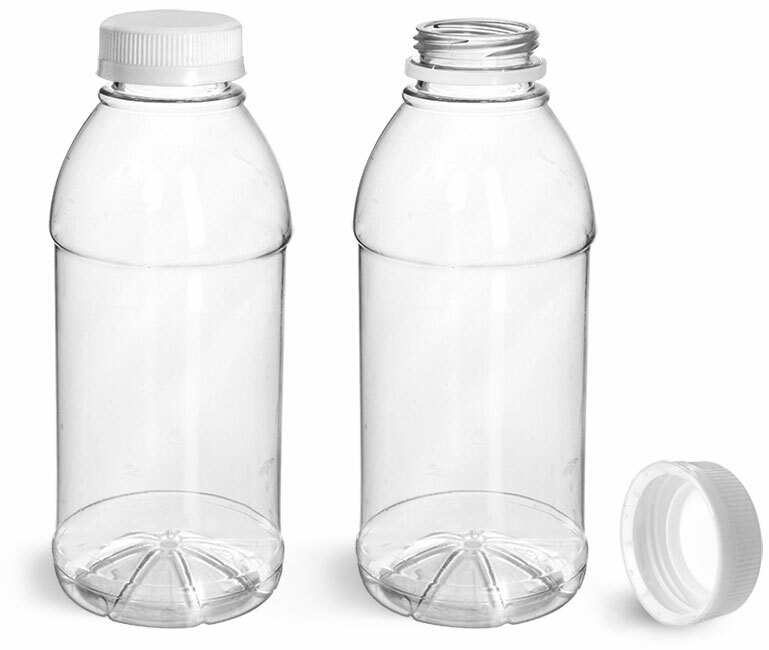 Clear PET plastic energy drink bottles include indented labeling areas for branding, and wide mouths for easy pouring and drinking. 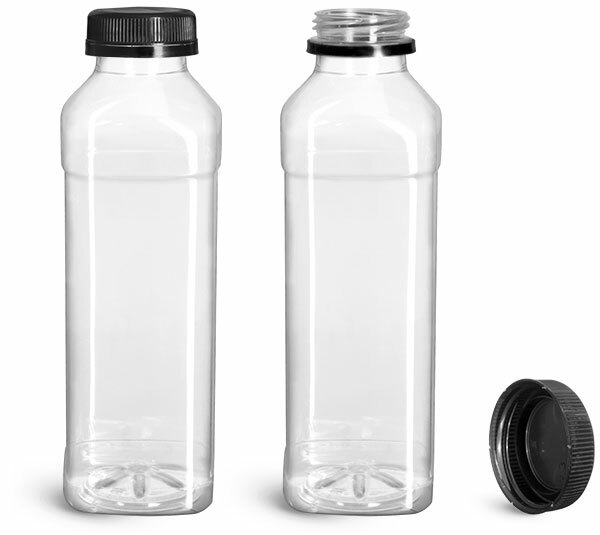 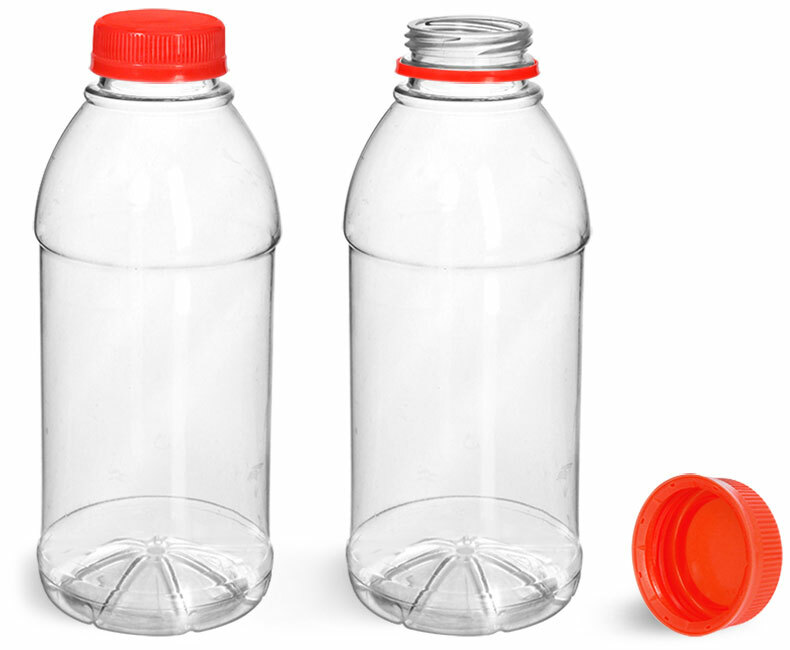 The paired black tamper evident caps are ribbed for convenient opening and closing, and include tamper evident rings for security after filling. 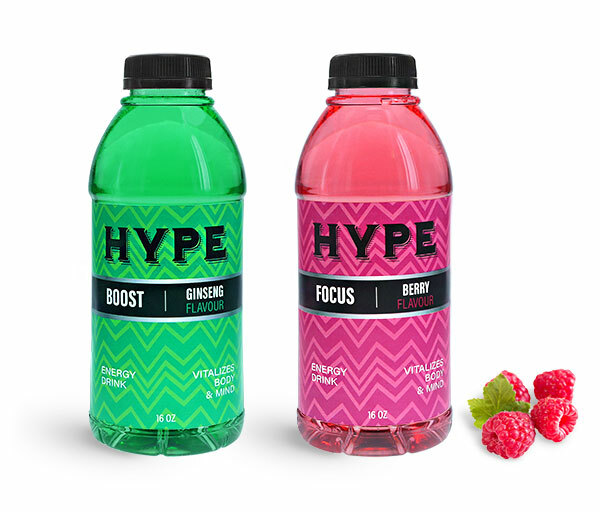 Package invigorating blends of energy drinks in these beverage bottles in a range of delicious flavors and vibrant colors.